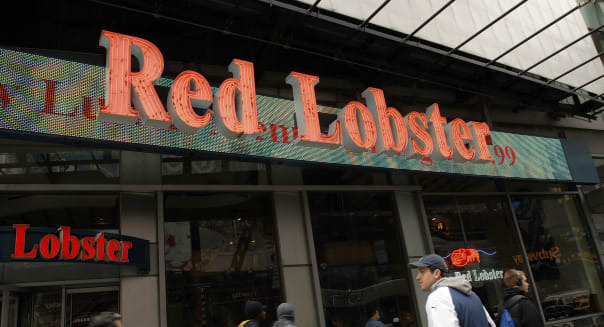 Stocks are set to rally Thursday morning on hopes for an extension of the debt ceiling deadline, and the owner of Red Lobster faces an investor challenge. Those stories and more are what's in Thursday's Market Minute. The Dow Jones industrial average (^DJI) rose 26 points Wednesday and the Standard & Poor's 500 index (^GPSC) edged slightly higher. But the Nasdaq composite index (^IXIC) fell 17 points. An activist investor has taken a stake in Darden Restaurants (DRI), and is pushing it to split into two separate companies. Barington Capital Group wants Darden to put its Olive Garden and Red Lobster restaurants into one business, and split off its six other, faster-growing chains into a separate business. Darden says it will "evaluate" the suggestions. Another casual dining chain, Ruby Tuesday (RT), reports a steeper than expected quarterly loss because of a sharp drop in sales. Oil giant Chevron (CVX) warns that its third-quarter earnings will be lower-than-expected because of a big squeeze on its refining division. And shares of software maker Citrix (CTXS) are set to tumble after warning that earnings and sales will fall short of Street expectations. The biotech firm Gilead Sciences (GILD) is stopping a clinical trial earlier than planned because its leukemia drug was providing significant help to patients. It may ask the Food and Drug Administration to speed up approval of the drug. Gilead shares are up 60 percent so far this year, and are likely to add to those gains today. Two leading research firms say sales of personal computers continued to decline in the third quarter. Industry-wide sales fell by about 8 percent, even though Hewlett-Packard (HPQ) and Dell (DELL) both eked out small gains, while Apple's (AAPL) shipment of Macs fell. And Toyota Motor (TM) is cutting the price on the plug-in version of its 2014 Prius hybrid by 2,000 dollars. The base price for the car is now just under $30,000 dollars. This follows price rollbacks for the rival Nissan Leaf and General Motors' Volt plug-in. Separately, GM (GM) says it will stop using a lithium-ion battery in the Chevrolet Malibu, in favor of a cheaper, lead-acid battery.